I hope this makes some sense because my thoughts and emotions are so scattered lately I feel like Hubby and I are in an emotional blender. I've been avoiding, for the most part, the caregiving www. I've struggled to support myself and Hubby and unless the support was "easy" to give and receive, I've remained silent. Unless I was sure what to ask for or offer, I've remained silent. To the majority of my family and friends, I've remained silent. Now is the time to break the silence because the silence is breaking my heart. Hubby has had some serious anger issues. Nothing physical, just verbal. And that's not really the problem since we have lived with his PTSD for our entire married life, I'm used to it. In the past, he could leave or I could suggest he leave and go someplace or I could until he cooled off. But now he feels trapped. Trapped by me, the Drs and his Lewy Body Dementia. He doesn't want to be here. He's mad at me, the Drs, his illness, the whole world. If I was in his place, I would probably feel the same way. He's also sad, very very lonely, frustrated and scared. All the things I wanted to prevent for him and have not succeeded in doing right now. All I can do is watch as he fights with his emotions and listen as he vents his frustrations. Most directed at me and admittedly they hurt but I understand where they are coming from so I try my best to ignore the feelings that come because of his words. What can we do? How can we fix this? We are maxed out on meds and some of my big fears are more would make him "drugged" something neither of us want. He's sick of taking pills anyway and I don't blame him. He has had some very lucid moments and we have talked about his dementia, his feelings and a few of his fears. Then HE suggested that perhaps placement would be the best. Oh my heart! 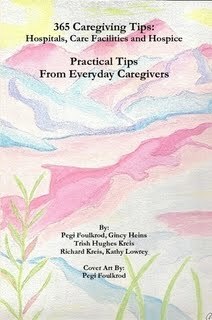 I HATE Lewy Body Dementia. I hate that he can have these moments of clarity. I HATE that he realizes what is happening. I HATE HATE HATE IT!!! At his suggestion, we have talked Nursing Home placement on several occasions. Sometimes he says he wants to leave, other times he says a Nursing Home is not where he wants to be, but he doesn't want to be here. Some times he says he doesn't want to be a burden. I've tried to assure him that he is not a burden, perhaps difficult at times but never a burden. He and I have both spoken to our children about it. I have to add that we are very blessed with the support that they offer us. They may not like the situation but they support whatever decisions needs to be made in the best interest of their father and me. How did I deserve such amazing gifts when I received them? It took a long time to bring it up to them. Hubby and I both fought emotions about it. We've cried together and separately, I've prayed for and over him. I still fight back tears and it's taken alot of emotional strength to put these words down. Even more when I hit the post button. 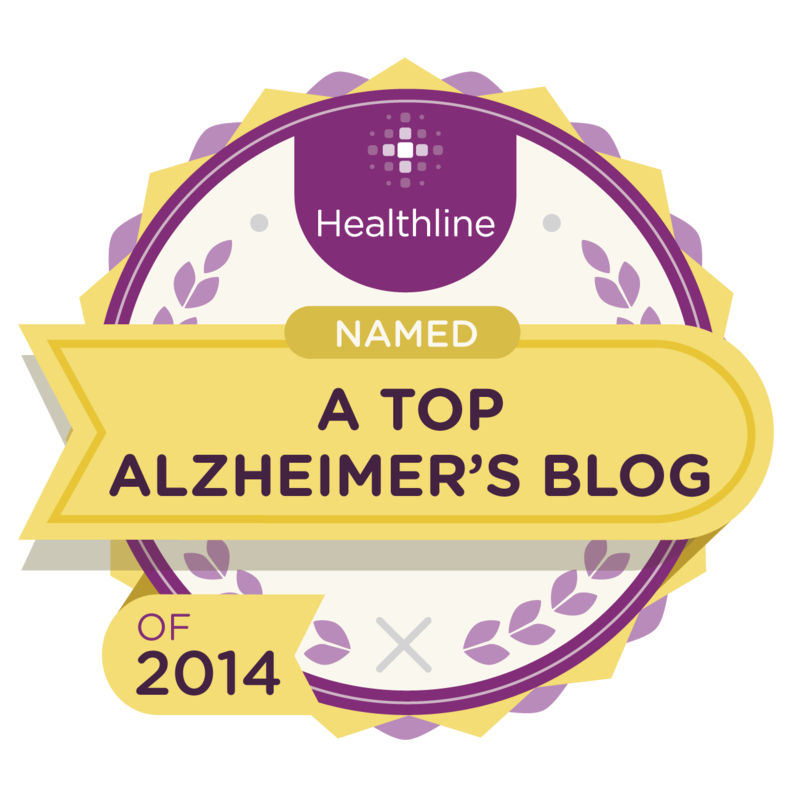 I've read more than once that it's never too early for placement when dementia is a concern. But it can come too late. 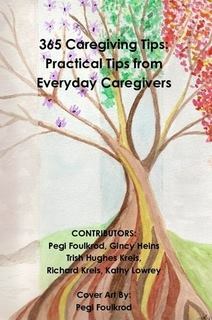 Late for the caregiver who is stretched beyond their capabilities and health. Late for the loved one who may do something that could potentially be life threatening to themselves or to others. And if you're already talking about it, now is the time to make the move. My head knows all of this, my lips and fingers have repeated it to others. My heart wont get on board. I've tried to find things for Hubby to be engaged in yet he refuses. So, I wonder if a different environment and the company of other people would be in his best interest. At least that way he could refuse to participate or engage with someone other than me. I'm sure it wouldn't help with how he feels about his illness, the Drs, the situation or me and all of his losses but perhaps with others he could "vent" to, it would help release some of his anger. Maybe he could deal with it better. I don't know the answers. I'm grasping anything I can to get even a small hold on a constantly slipping situation. Neither of us have decided anything but Hubby wants to talk to a Dr about it. He has an appointment in a couple of weeks. Confession : His wanting to do this feels like a bit of rejection of me but I have to shake that off and realize, this isn't about me, it's about what's best for him. I did tell him if he wanted we could tour a facility and nothing had to be permanent so if he did go in and then decided wanted to go home, I would be loading him up and bringing him home. Please say a prayer for us. We need clarity of mind and sure direction. Still praying....and praying. I know this is hard and there are NO easy answers. May God give you that wisdom and comfort in the decision. Wish we lived closer! Knowing you are praying means so much! I'm so sorry, Kathy, I know how hard this is. Another reason for moving people earlier is that they have more ability and faculties to adapt and know that they're in a new place, instead of being confused and panicky. I feel for you, this is such a tough place. I'll be thinking about you today! Joy from 13 Dumpsters. Yes you are correct in an early move allows for easier adapting. It is a difficult decision to make. My heart hurts for you. This is so hard. Would it be possible for him to go to a day care a few days a week to have some outside stimulation and new things to do? Maybe he wouldn't be so frustrated at home then. We don't have the answers for this disease and each person is different. I wish you well and you're in my prayers. Good luck with whatever you choose to do. I have actually tried to get Hubby to participate in other activities to give him something to do but he has refused everything. I FINALLY was able to find (hire but don't tell Hubby) someone that he would go with to have coffee for a couple of hours once a week but she took on a second job so he hasn't been able to go. Believe me I've tried and suggested many things and he will have no part of it or I can't get anyone willing to take the time. Wow, Kathy, I just have to comment because your Hubby's refusal to do any other activities is EXACTLY like my husband's refusal to do the same! And he used to be such a social person. I wonder if Lewy has something to do with it. Anyone else have similar experiences? Oh wow, I am so sorry...here I am grumbling about left alone for aweek with his mom...but nothing at all like your heartache. I'm so sorry for both of you - but if he is fighting thru the moments of clarity to tell you something I think you HAVE to accept that it is the right course to follow...as Brenda says, can it be a few days a week to start? My thoughts with you all the way from here in Japan....please take care of YOUR needs. Thank you for your kind thoughts all the way from Japan. I hope you never feel bad about what's happening in your life as it compares to another's. It is just that, your life that is changing and nobody knows what you feel but you and IT IS important. I think of you often too and the struggles you must face other than what you share in your blog. We are taking one day at a time. As you well know, some days it's the best we can do, right? Kathy, I have the same issues your Husband has. I look at a skilled facility as a cocoon to hide in, yet I don't want to be there. It is very confusing to me and naturally to my wife. Fear is a constant companion for me and my wife. She struggles to understand and in some ways, I struggle to hide where I am and what I think! Negative emotions drive my thoughts. Fear of the future changes, the longer time between lucid times, and the loss of my ability to control my anger! We have learned so much about our journey from you and your husband. You both are in our prayers! I just found your blog today and I'm amazed at the similarities between your life and my mom & dad's life. Actually, today my dad (he has lewy body) just went to an assisted living facility to try it out. He has felt trapped and also like a burden, and all those things you've been stated your husband has felt. He pushed for this change. And mom feels just like you, rejected, sad and angry. Today was just day 1 so we aren't sure how it will go and how well he will actually like it there--we are all taking it day by day. I have learned more just reading your blog for a few hours than in several years of other online reading. THANK YOU!